Discover how our planet works through play! 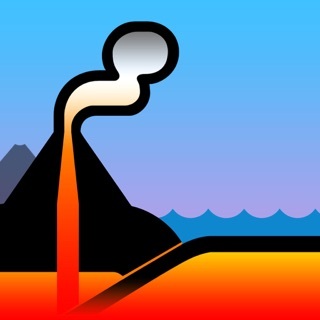 Create volcanoes, sculpt mountains, and control the forces of nature with your fingertips. 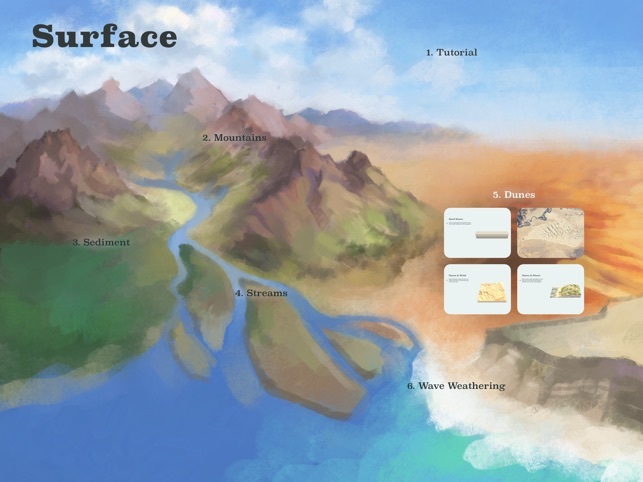 Earth Primer defies existing genres, combining aspects of science books, toys, simulations, and games. It is a new kind of interactive experience which joins the guided quality of a book with open ended simulation play. "BEAUTIFUL ... ENGAGING ... WELL DESIGNED." "THE FUTURE OF EDUCATION... sets a high benchmark for what educational apps should be aspiring to." "This is much more than a toy. It is a catalyst for thinking about our world. ... TRULY A JOY." "I want every book to be this awesome. ...ABSOLUTELY WORTH EVERY CENT." • Discover how Earth works through play. 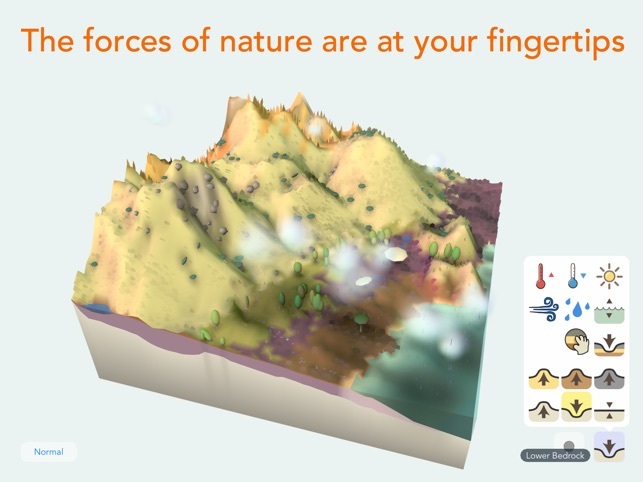 • The forces of nature are at your fingertips—make volcanoes, shape sand dunes, form glaciers, sculpt mountains, push around tectonic plates, paint with wind, heat up magma—and more! • 20 different tools to unlock. 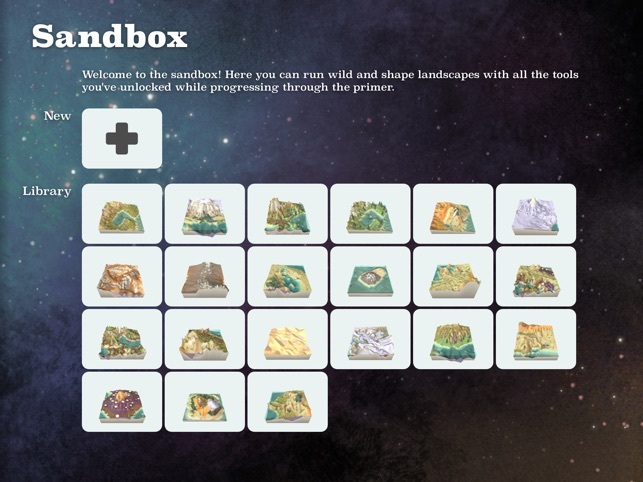 • Richly interactive geological simulations. 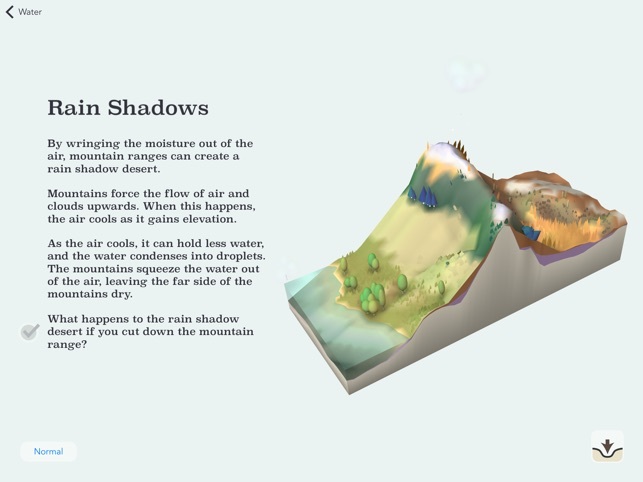 • Five chapters: Earth's Interior, Surface, Water Cycle, Biomes, and Sandbox. - Thank you for purchasing and supporting Earth Primer! If you're a fan, please consider leaving a rating or review — it helps a lot! A lot of us live on this great big planet without really understanding what makes it tick. 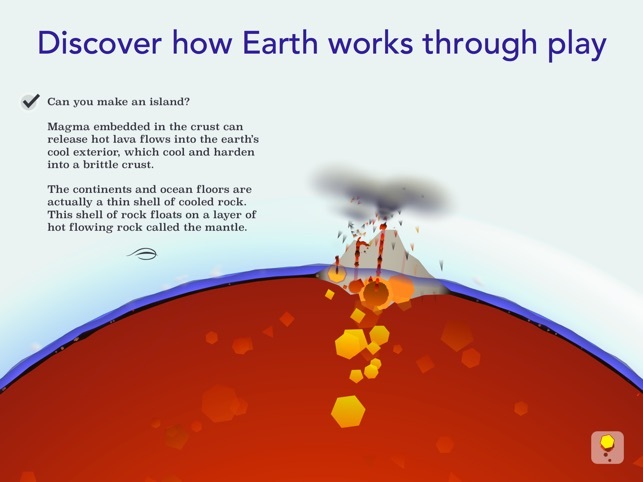 This kid-friendly introduction to the Earth’s inner and outer workings uses touch-based tools and exercises to teach everything from how volcanoes are formed to where rain comes from. With clear language, vivid photos, interactive 3D models, and a delightful sandbox mode, it’s a fantastic owner’s manual for the world we live in. A new kind of book! Wow. This is so cool! I read about this App on Wired and decided to check it out. 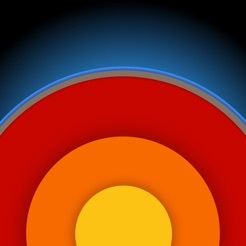 Well, I've never had an interest in geology, honestly, but learning about Earth by playing with simulated, volcanoes, mountains, dunes and glaciers is so cool that I'm learning about geology simply because Earth Primer so fun.. It makes me wish there were more things I could learn in this way! I spend a lot of time searching for and playing with math / science apps. It's part of my job. This one jest blew my mind in terms of the app itself and in terms of the possibilities it suggests for further related educational media. Perfect integration of instruction and play. This one has it all right. Clear instruction, deep dynamic simulation, excellent emergence of geological land forms and related ecosystems... it really is excellent! It would be nice to be able to adjust the rate at which time passes,. Maybe even pause time as needed. I'd also love slightly larger surface in sandbox mode. I would love to be able to run a larger landscape at a lower frame rate/ slower time rate.